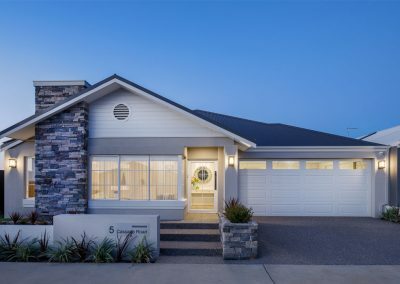 Set within the growing neighbourhood of Greenlea Estate, Baldivis, the Australis Star display home is perfectly suited to the modern Australian family. The stunning façade combines a mix of contemporary building materials that add to the home’s striking visual appeal. 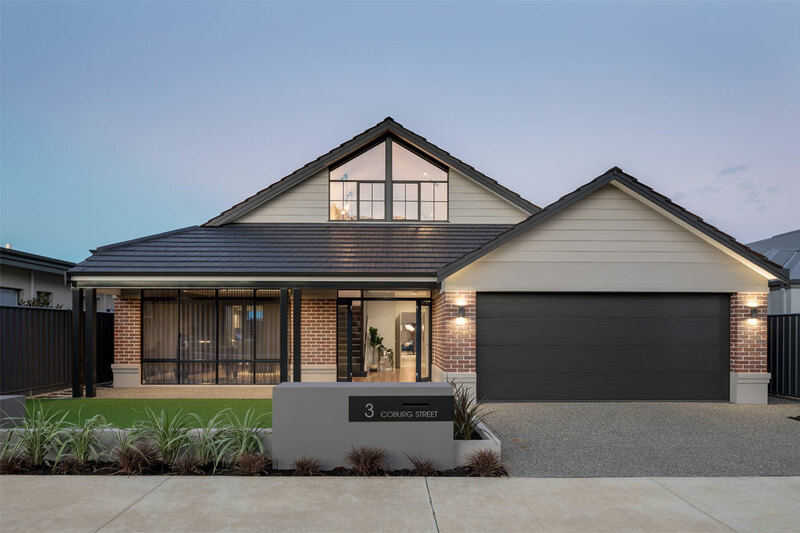 The exposed red bricks beautifully contrast with the exterior’s subtle dark tones, while feature glazing bars on the front windows and glass entryway achieve cohesion for a harmonious result. 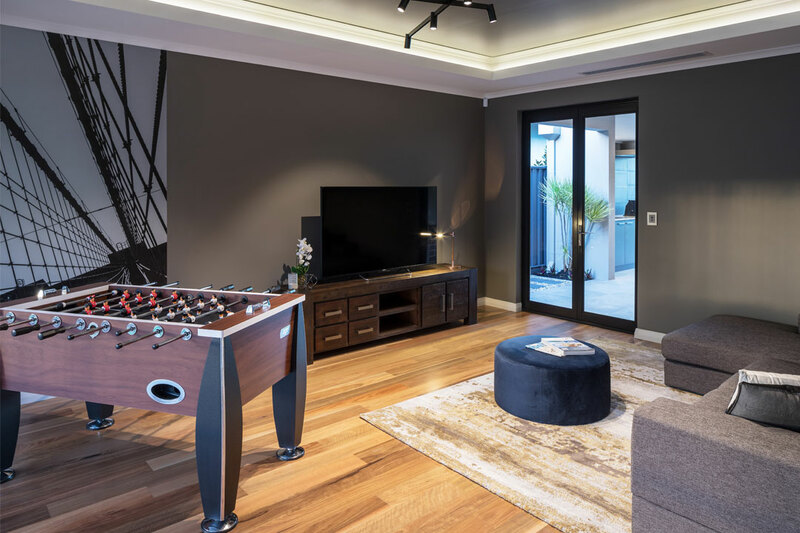 Featuring a spacious open-plan living zone, a multipurpose loft, and an impressive home theatre, this four-bedroom, two-bathroom home showcases refined liveable spaces that are perfect for relaxing and entertaining. 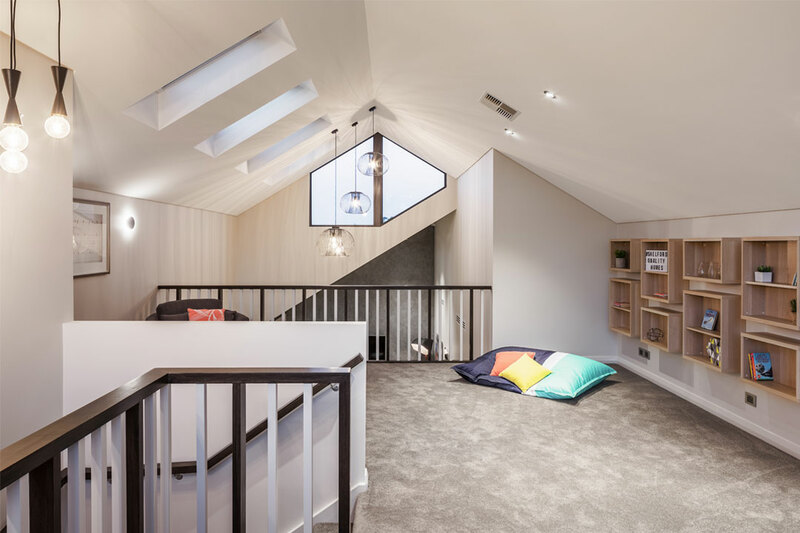 From the welcoming foyer to the unique feature balustrading leading up to the loft, it’s the finer details in this home that make the biggest impact. The New York-inspired aesthetic is achieved with industrial styling, modern furnishings and contemporary accents such as the statement pendant lighting and ornate skirting boards, which are sure to draw the eye. Cleverly designed to maximise space, the home is characterised by large windows, sunlit spaces, and an inviting open-plan design that is synonymous with cosmopolitan living. The soaring raking ceilings in the loft and dining area enhance the dramatic feel of the home, while the void and strategically positioned skylights in the dining area welcome plenty of bright light into the space. 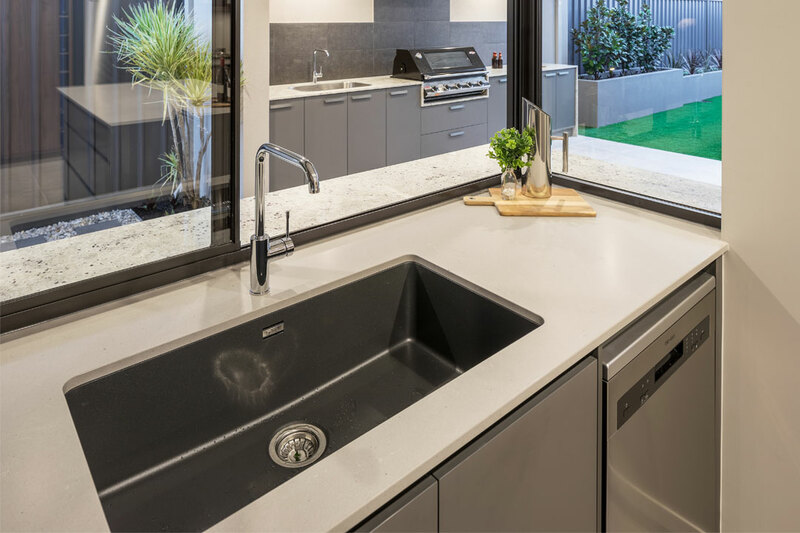 The gourmet kitchen features state-of-the-art stainless steel cooking appliances, carefully selected tapware and fixtures, customised cabinetry and an eye-catching mirrored splashback. With generous storage space, a wine rack and a study nook/item drop-off zone, the kitchen is as practical as it is stylish. Overlooking the alfresco area, the servery window seamlessly integrates the interior and exterior spaces, creating an ideal atmosphere for wining and dining family and friends. 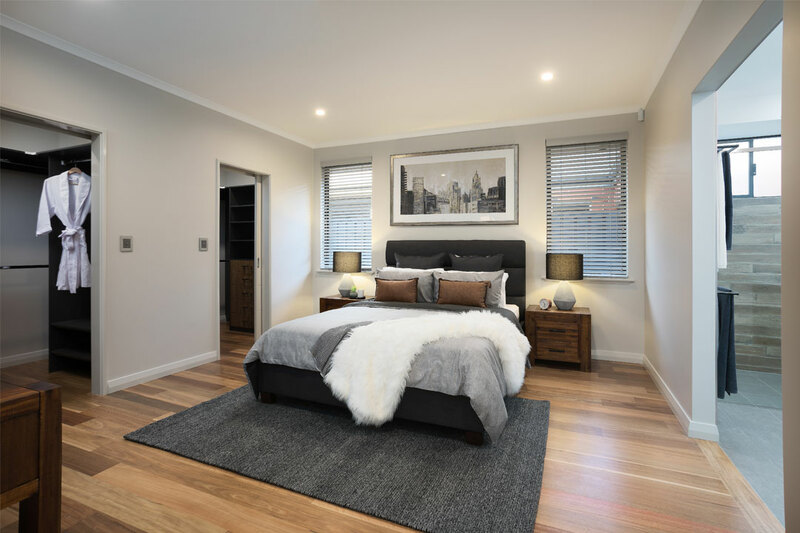 Situated at the front of the home, the main bedroom sits separately from the living areas to provide a luxurious parent’s retreat that’s removed from the rigors of everyday life. Featuring a customised walk-in wardrobe that doubles as a dressing room, a hotel-style ensuite with twin basins, an oversized shower, and private toilet, the space provides everyday practicality with sophisticated flair. For added convenience, the other three bedrooms are serviced by a stylish main bathroom and private powder room. In addition to its superior visual and practical appeal, the home is also energy efficient, with a strong focus on orientation, ventilation and insulation, keeping all rooms at a comfortable temperature throughout the year. Delivering a truly exceptional home that combines superb residential craftsmanship with outstanding architectural design was the priority for Shelford Quality Homes. 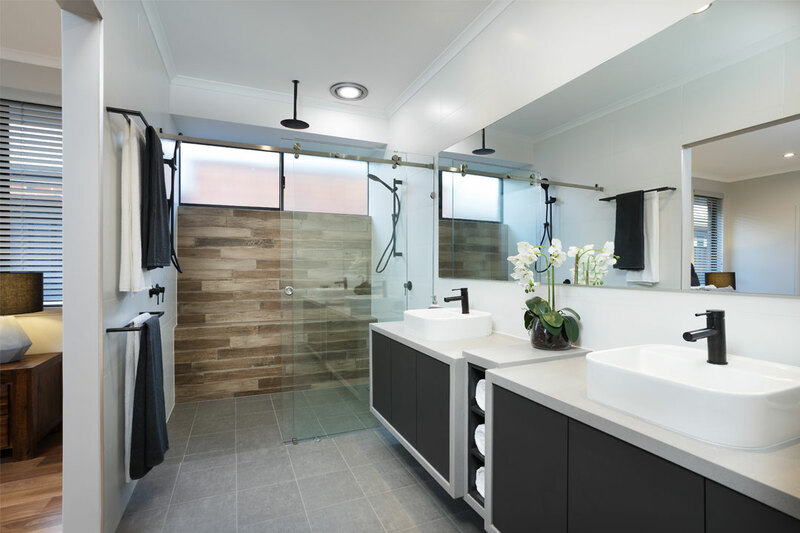 The expert team believes that maintaining an optimum balance between design and construction ability is essential to pleasing the most discerning of home buyers. Specialising in home designs that are finished with faultless attention to detail, Shelford Quality Homes has a wide range of contemporary ready-built homes on offer, as well as customised options for a truly bespoke experience. Every project is backed by the company’s confidence guarantee, as well as a lifetime warranty, so you can rest assured your home is in safe hands. In 1991, construction-industry professionals John Mijacika and Tony Plumb made the ambitious decision to start up their own building company in Rockingham. 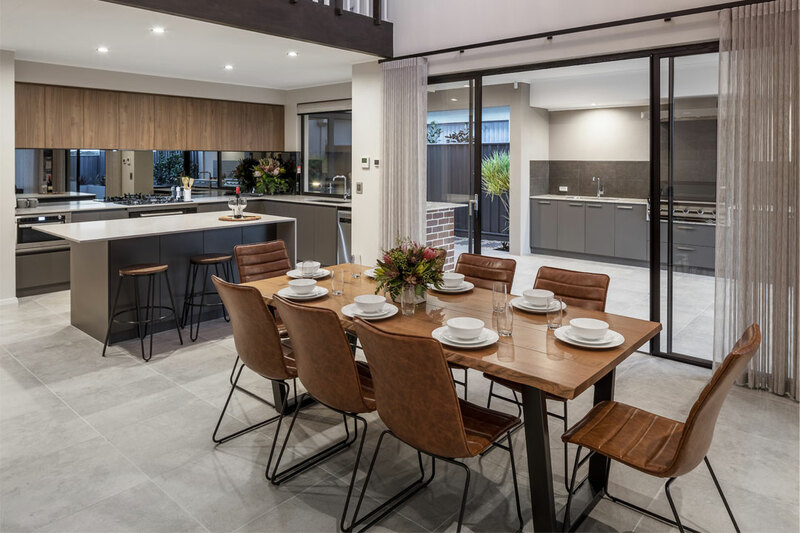 The two quickly earned the respect of their clients, stakeholders and the wider construction industry, and together they built Shelford Quality Homes into one of Perth’s most trusted residential building companies. Shelford Quality Homes understands that finding the perfect block of land is just as important as building the perfect home. If you’re looking to purchase land anywhere from Yanchep to Bunbury, the company not only has access to some of Perth’s best land divisions and most vibrant pre-planned communities, but it can also negotiate a private sale in any established local suburb.